A village with one street. The Calle Real of Cumbres de Enmedio ( Click to enlarge images). 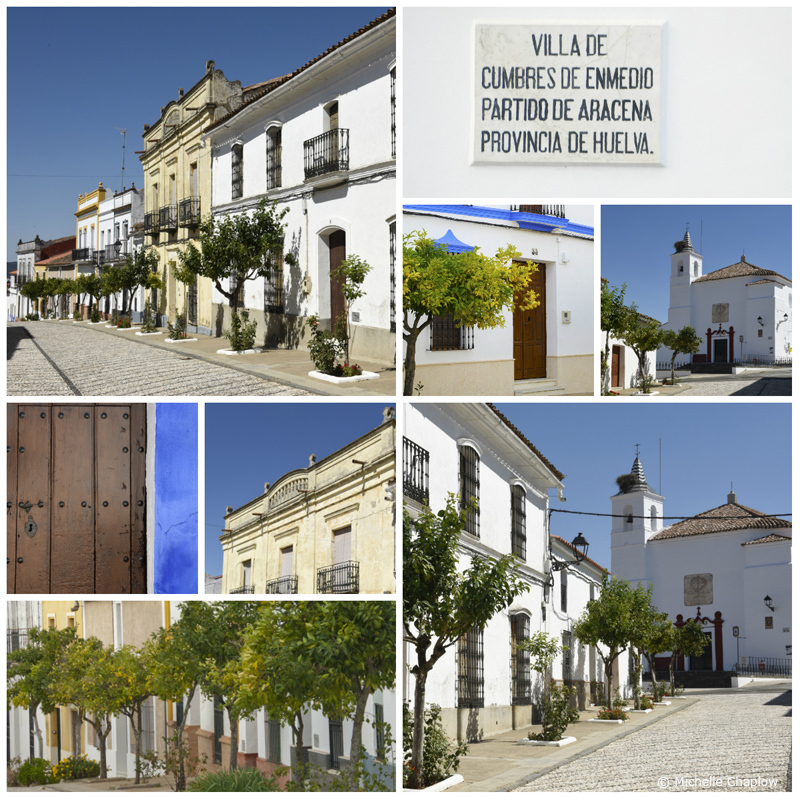 Cumbres de Enmedio is one of the smallest hamlets in Andalucia. Located within the Sierra de Aracena and Picos de Aroche Natural Park, to the north of Jabugo and 4km from the Extremadura border, this tiny settlement has a population of just 50 inhabitants. The size of the hamlet's population is reflected in the compact layout of the village, with a few streets coming off the local main A-5300 road, linking the three towns of Cumbres Mayores, Cumbres de San Bartolomé and Cumbres de Enmedio. The village is at 593m above sea level. The origin of Cumbres de Enmedio dates back to the Christian repopulation after the Reconquista from the Moors of the 13th century. For a long time the hamlet's ownership was disputed with Portugal, due to its location on the border, although it never had a defensive fortress like neighbouring villages. In 1639, King Felipe IV granted the "privilegio de villazgo" (privilege of population, special status accorded by the monarch to certain towns or villages) in exchange for a sum of money which forced the village into debt for many years. In 1752, the inhabitants still paid a census of 855 reales de vellón (old currency), equivalent to 1.27 euros. With a subsistence economy based on agro-livestock resources, the number of inhabitants barely grew during the 19th and early 20th centuries. In the mid-20th century the population of Cumbres de Enmedio reached its peak at 251 inhabitants. From then on, with the widespread crisis in the region's domestic-scale economy, the number of inhabitants dropped significantly resulting to the lowest population of Andalusia, with only 50 inhabitants according to the 2010 census. Cumbres de Enmedio has a unique design of cobbled streets and traditional white Andalusian houses. In spring the smell of orange blossom wafts through in the streets. This is the most representative building and architectural jewel of Cumbres de Enmedio. It was rebuilt by Pedro de Silva in 1770 after the devastating 1755 Lisbon earthquake. Located on Avenida Andalucia, opposite the Ayuntamiento (town hall). 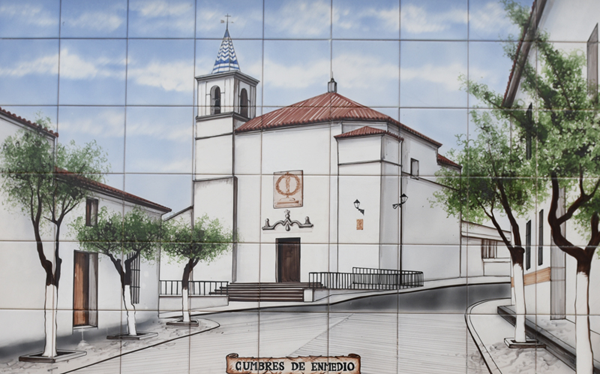 The main street of Cumbres de Enmedio - among orange trees you will find a number of traditional houses, some dating back to the 19th century and others from the first half of the 20th century. They represent this popular architecture with traces from Extremadura as well as lusas (fireplaces) and the regionalist movement of early last century. At the east entrance of Cumbres de Enmedio, a watering hole is situated on one of the ancient routes once used by shepherds. It is now called Fuente del Pilar and sits on cobbled surface, solace to the inhabitants on warm summer nights. There are also remains of archaeological sites of what was once a Roman settlement. In some areas, this stream is a natural border between the regions of Andalusia and Extremadura. It starts in Fuentes de León (Badajoz, Extremadura) at an altitude of 700m above sea level, and ends at Múrtigas River, at an altitude of 25m. Its basin covers 317 square kilometres and it is home to a good number of endemic species of the Iberian Peninsula such as various fish: jarabugo (threatened with extinction), pardilla, boga de rio (Iberian nase), calandino, barbos (barbel) and anguila (eel). In addition, you may see amphibians in the banks, temporary ponds and streams. Other species of interest in the area are the black vulture, Bonelli's eagle and the golden eagle, plus otters, black storks and herons. Located 4km on the N435 from Cumbres de Enmedio to Extremadura. Nature lovers will find Cumbres de Enmedio the perfect destination with a landscape formed mainly by meadows with several long-distance walking routes such as the GR-42 and GR-48. You can admire countless animal species, such as wild cats, wild boar or black vultures. Cumbres de Enmedio has land ideal for livestock however the Iberian pig is the star. In fact highlights of its gastronomy are the by-products of the matanza. Bean and chickpea stews with pork as well as cured sausages are favourite dishes. The main festival event of Cumbres de Enmedio is the Feria de San Pedro, where each year the awaited reunion between emigrants and local residents occurs. It is celebrated on 29 June and apart from religious ceremonies, it is traditional to release young cows in the vicinity of the Fuente del Pilar for the younger generation to show off bullfighting skills. 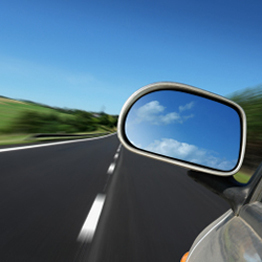 Cumbres de Enmedio is located 140kms from Huelva on the Autopista del Quinto Centenario. After the detour to the N-435 to Valverde del Camino, passing this village, continue along the N-435, taking a right turn onto the A5300 towards Cumbres de Enmedio. Hover the cursor over aracena to see bigger map and click to go to the maps page.